There are numerous stories associated with Hindu God Shiva’s marriage to Goddess Parvati. One such story is mentioned in a 13th century Kashmiri poem on Shiva and it teaches how lust for gold creates nothing but confusion and chaos. The marriage of Shiva and Parvati is about take place but to the astonishment of all assembled; Shiva appears covered in ash with a skull in his hand, followed by goblins and ghosts. All those assembled there felt sorry for Parvati. The assembled women commented that Shiva will not have the capacity to gift gold ornaments to the bride. Shiva who heard this smiled and immediately creates a shower of gold on the bride. All those assembled there rejoiced at the sight of the gold rain. Soon things go out of hand there is only gold everywhere - the roof tops, trees, roads, fields all are covered with gold. Still there is no end to the gold rain. People were now fed up with Gold and complained to Indra. He asked them to pray to Shiva. Shiva wanted to know the reason for the sudden change of mind among those people who had earlier complained about him not gifting any gold. People said that there would be no food in future as all fields are covered with gold. Also with the rain of gold, there is now no distinction between the rich and the poor. 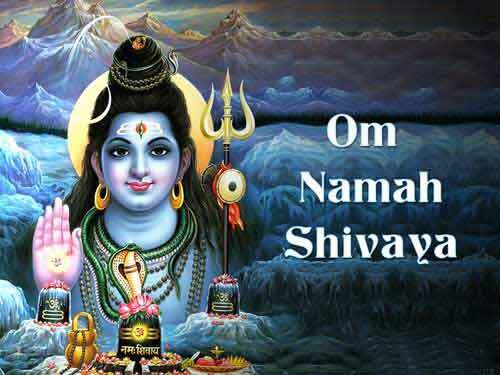 Shiva then smiled and asked Vayu to collect all gold in heap and to blow it away from earth. Shiva here symbolically teaches that lust for gold or any precious object is due to the scarcity of the particular object. When the same object is found in abundance, there is no value for it.